This album consists of a collection of tunes I recorded between 2013-2014. It's always been a childhood ambition to release an electronic album. I've been itching to get back to what got me into music in the first place...FOXX,NUMAN, JEAN-MICHEL JARRE, early HUMAN LEAGUE,CABARET VOLTAIRE..but with a little 90's twist. A big shout-out to the following people who have given me some great words of encouragement..my lovely wife JULIE and my lovely family, my Positronik friends JEFF BLACK and DANIELLE MzDEE CARTER, KIT B-ers DANNY CUSICK,MIKE POWELL and TONY ASHWORTH and PETER SLATER,everyone at 94.4FM SALFORD CITY RADIO,especially TONY THORNBOROUGH ,STEPHEN DOYLE and CALLUM MITCHELL. JED STEPHENS, ALEX STASZKO, DAVE at SHEDHEAD RECORDS,WANGIES BAR in Eccles, ED BLANEY,GRAYSO and PAUL ASHTON of SALFORD MUSIC FESTIVAL, TOSKA WILDE, CARL LINGARD,MIKE LEIGH, DUSTY MOONAN and STACEY BATES, BOB and EON at GERMAN SHEPHERD RECORDS and all at CORBIERES BAR in Manchester...and well you know who you are. 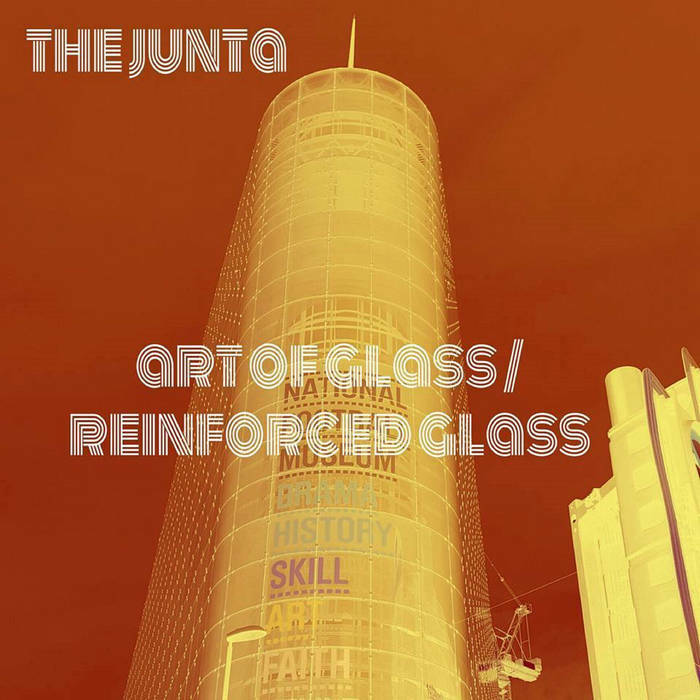 Three years later it's time to re-release The Junta's seminal 'Art of Glass with extra special bonus tracks. Taking the best of the first album and remixing it and adding tracks from other releases as well as the as yet unreleased eponymous The Junta.